The D-Link DAP-2555 AirPremier® N Dual Band, PoE Access Point powered by CloudCommand™ is the foundation of the next generation of Wi-Fi networks for business. It leverages a pioneering cloud architecture that makes deploying, configuring, securing and managing Access Points an easy task that can be completed from anywhere. This access point is designed for small and medium businesses to bridge the gap between easy-to-use consumergrade hardware that scales poorly and prohibitively expensive and complex enterprise-grade solutions that are impossibly difficult to manage. AirPremier® N Dual Band, PoE Access Points are simple to set up (individually or in groups) using a web browser and Internet connection. There is no need to install software from a CD or to log into firmware pages. Unlike traditional models, once these access points connect to your local area network they automatically retrieve their configuration settings from the Internet and are ready for use in minutes. The only task remaining is their physical installation. The D-Link DAP-2555 gives users the power to administer the entire Wi-Fi network from anywhere, even if the APs are distributed across multiple locations. Save time and resources by making changes to all the APs simultaneously. Or, you can adjust their settings individually. Access is as simple as opening a web browser and logging into your online account at dlink.cloudcommand.com. Make security changes, add and remove individual network users, view graphical reports and much more – all from your office or while on the road. You can receive alerts via email or by text message. In addition to the traditional WPA2 encryption standard for secure access, the DAP-2555 offers Individual Device Authentication (IDA) technology. This technology automatically identifies and secures each connected device on an individual basis. The security setup is as simple as sending a text message. IDA allows for easier management of network access privileges and gives administrators the ability to quickly add and remove users without having to constantly change security keys (a common challenge that wireless solutions have today). Administrators can also choose to send individual network keys to users by email or text message. If you want to stream HD video throughout your house, then this is the adapter for you. 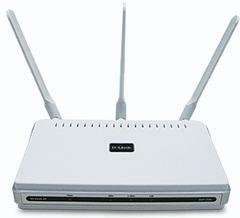 When used with a Dual Band Router, it operates on two bands so you can avoid interference and stream away. This Xtreme N® Desktop Adapter delivers unrivaled Wi-Fi performance for your PCI Express-enabled desktop computer. DAP-2555 AirPremier N Dual Band, PoE Access Point carries an MSRP of $399 and is available through VARs. It includes a one-year CloudCommand subscription.